The Martin Yale Mark VII Air Feed is a high-speed folding machine that is capable of folding up to 35,000 sheets per hour. The bottom-sheet feeding system allows the operator to continually add sheets to the feed table during operation and with a feed table capacity of to 300 sheets, it allows the operator time to keep loading and off loading saving time and money. 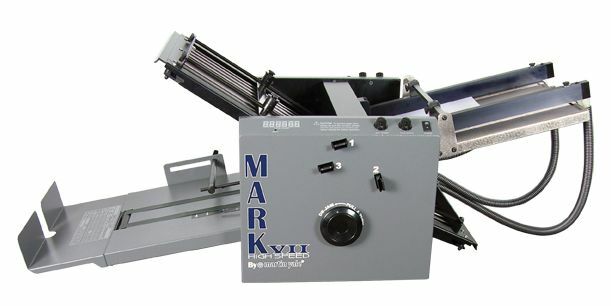 The MarkVII AirFeed machine is equipped with precision air/vacuum volume control letting you adjust the flow depending on the type of paper stock or the thickness. Its great for sensitive paper stock including gloss, coated, laser, and copier paper etc. The air / vacuum pump was specially designed to provide both air and vacuum, reducing maintenance time and overall cost. The variable speed control with a variable speed conveyor that is independent of the fold rollers also helps with a wide range of paper stock. The Mark VII is built with heavy-gauge construction with stainless steel rods help to guide the paper accurately at high speeds for precision folds. The manual paper guide and skew adjustments allow the operator to dial in the machine to to get the job set right where it needs to be. The nickle plated feed table is design to reduce friction and it is grounded to reduce static build-up. The LED counter keeps track of the number of pages folded. The unit includes removable cartridges for perforating and/or scoring. 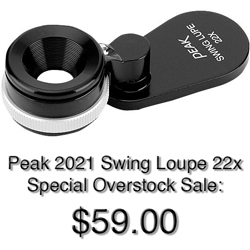 The heavy-duty shaft design prevents deflection and ensures consistent scoring and perfing plus cartiridges are easily removable by hand and require no tools. The calibration system adjusts the roller gap depending on the paper weight and fold tightness that you desire and the gear driven rollers ensure consistent folding at all speed and all paper types. Manually adjustable paper stops, with metric and English scales for quick and easy set-up. 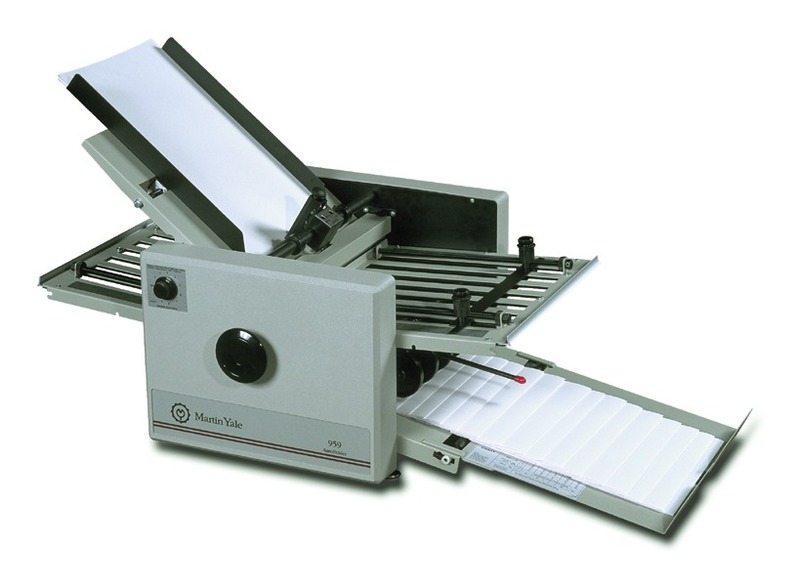 The easy set-up features include: a fold chart for easy fold table set-up, rulers on fold tables for accurate folding, and precision set sheet caliper.